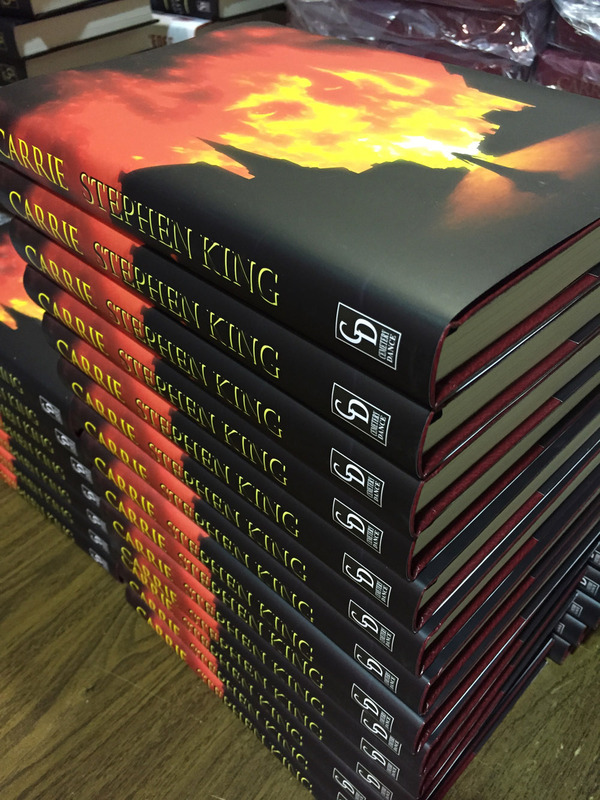 Last month, our wonderful printer called us about the arrival of the slipcases for The Dark Man by Stephen King, which had shipped to them directly from our slipcase maker. They wanted to let us know that a few cartons appeared to have been damaged in transit. That’s not the end of the world, it happens from time to time, and the damage didn’t look too bad. Then they called back a few minutes later because they realized that the slipcase maker had shipped three pallets… and FOUR pallets had arrived. 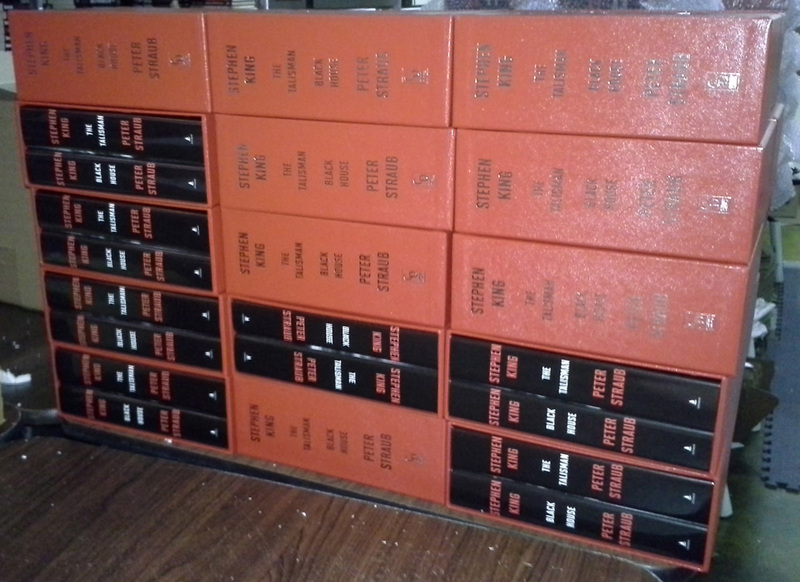 We hadn’t mysteriously gained more slipcases in transit, of course. The extra pallet was all of the cartons that had been ripped off their original pallet somewhere along the way. There was much more damage than originally realized, but luckily, there were just enough extra slipcases produced so that all of the books in the 5,000 copy run of The Dark Man would have one… but it was close! We’ve seen them before at other warehouses, but it’s not how products are shipped to us. At least not normally. A few weeks ago, another publisher’s distributor accidentally shipped 450 copies of their publication to us in a Gaylord. The publisher was horrified to see how the copies arrived, of course, and quickly replaced them, but it was a surprising way to start the day! A photo from Dan in the warehouse of all of the individual customer orders for the trade hardcover of The Dark Man by Stephen King. The stack of paper weighed in at 19 pounds.